If you are requiring waterproofing repairs to your roof, please specify when submitting your enquiry. If you are looking to replace, clean or paint your roof tiles, we can provide you with the right roofing contractors for the job. If you are constructing a new roof, or an extension to an existing dwelling, please be aware that the roof construction and roof truss design has to be inspected and signed off by an authorised (A19) Roofing engineer. Please call us for assistance. Roof building is not a job for the inexperienced, as their work will simply be rejected and require reconstruction or worse starting over. Roof structures require designing with structural integrity by carpentry professionals or engineers, who understand the weight and stress factors placed on the various roof trusses. There is far more to a roof than its aesthetic finishes and leak free qualities. Be sure to select the right contractor the first time round. Roof sheeting is a serious business and correct decisions and consultation are essential before cladding your roof. 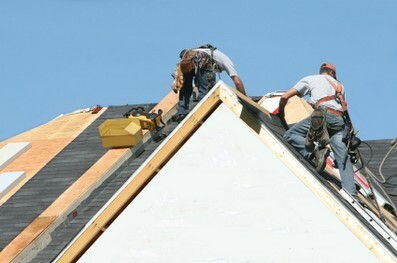 Many people believe sheet roofing is a simple process and far too often try to save on building costs by using unskilled labour to install sheet roofs.In our years of experience this is the type of roofing where we see poor workmanship cause leaks of the worst nature and even worse, incorrectly installed roofs being blown off in high winds. We urge you, when sheeting or re-sheeting your roof, use the right people the first time, you don’t want to learn the hard way. When choosing the type of roof sheet for your house, please contact your roofing contractor to help you choose the correct type of roof sheet and profile available to best suit your homes natural environment. Our contractors regularly install a full range of roof sheeting products available on the market today, taking great care to use the correct fixings with the correct sheeting and never veering from the manufacturers recommended specifications. Our contractors regularly install the full range of cement and clay tiles available on the market today. Our tilers are talented and skillful , getting the job done right the first time . 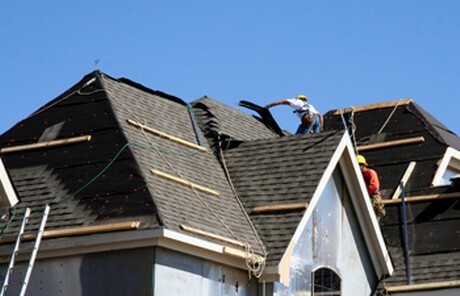 The neat and straight lines on our roofs are our best advertisement and speak volumes for years of experience we have. Cement Tiles are a cost effective and low maintenance form of roof cladding, with modern tiles available in a vast array of colours and profiles . Clay tiles are an upmarket finish that can be the cherry on top of your dream home. Our contractors regularly install both Natural Mazista slate and Fibre Cement Slate. Our Slater’s are very experienced and we have the confidence to take on any slating job no matter how large or complex. We have a vast portfolio of mazista slate roofs done in both the ‘Traditional' Slate method and the more modern and cost effective 'Peterlo’ method. The 'Peterlo’ Mazista slate roofing system requires its malthoid felt waterproofing layer to be replaced after approximately 25 years. As this process can be fairly daunting for the home owner we have made it our mission to take great care and caution when working on your home . We believe we have perfected the art of Mazista reroofing and we are difficult to match when it comes to our polite, efficient and unobtrusive working style when working on your family home. Our contractors installed the first slate of this nature in Cape Town and has led the field ever since. The modern fibre cement slate has a clean and linear finish and is technically the best designed roofing slate available. With double nail fixings and a copper disc rivet leading end fixing, this product is well suited to high winds. Our contractors believe roof sheeting is a serious business and correct decisions and consultation are essential before cladding your roof. 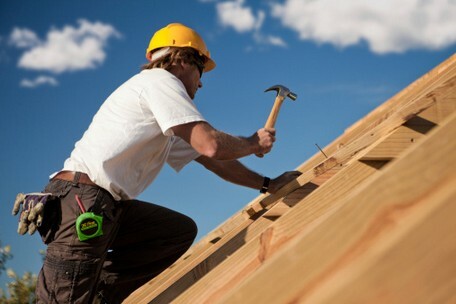 We work in conjunction with the best carpenters available ensuring your roof structure is built to perfection. Focusing on new roof structures, we prefer to manage the installation of your timber structure ensuring that we are left with a true and lined up base on which to clad your roof. We have managed the installation of numerous site manufactured exposed roof structures , working closely with architects, clients, engineers and carpenters to create the volume and aesthetics that the home owner desires. Your roof structure can be a master piece, with the correct designs your home can reach its true potential, often at a surprisingly minimal extra cost. Supply and fit of new sheeting –IBR , Kliplok 406 , Saflok 700 and Nutec Bigsix sheeting. Reroofing of corroded metal sheeting with new metal sheeting. Removal of asbestos sheeting and replacement with metal or Nutec sheeting all in accordance with Occupational Health and Safety requirements.